Quite frankly, it was difficult to fathom how biryani could be delivered without losing its long sitting steam and aroma. Quite frankly, it was difficult to fathom how biryani could be delivered without losing its long sitting steam and aroma. But exactly after 45 minutes, we got our answer. Hyderabadi Biryani from Biryani by Kilo (BBK), arrived in an earthen vessel, sealed securely with dough. Couple of minutes later, after wrestling with its tight grip, we victoriously separate the lid from its bottom, allowing the suppleness of each grain to come through. The long pieces of basmati rice shift in its place for the first time in several hours, since it was put on dum. Our skepticism vanishes almost instantly, and in a couple of minutes, we’re completely invested in the preparation. The brand operates three kitchens—in Gurgaon, Noida and Dwarka. The newest addition is the one in Shahpur Jat that we wanted to try. The promoters of the place, Kaushik Roy and Vishal Jindal, were convinced right from the outset that the concept would have many takers. “Biryani, a preparation with 500 years of history, is a complete meal with the right combination of carbohydrates (rice) and proteins (meat/vegetables). The fact that it can be delivered easily, made the whole thing even more favourable,” says Roy. The salan comes as a customary accompaniment to all biryanis, but the spices in the rice alone will sail you though the meal. Next, we tried the Mutton Galouti Kebab with ulte tawe ka paratha (made on an upside down karahi). The kebab retained its succulent characteristic but the parantha gave way. The menu is not a large one but quite comprehensive nonetheless. 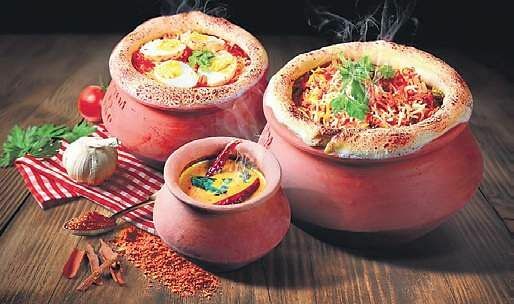 Chicken Sheekh Kebabs, Kakori Kebabs, Shikampuri Kebabs, mutton and chicken kormas, Dum Nihari Gosht, along with Lucknowi Biryani, that employes a different technique of cooking to that of Hyderabadi, is on the menu. The ordering works on an online delivering system with a core group of four chefs with experience from restaurants such as Olive, Dana Choga, Tunday, Great Kebab Factor and TGIF. Before introducing BBK, in an ambitious effort, the promoters travelled to the best biryani and kebab places in Lucknow, Kolkata, Hyderabad, Mumbai and Bengaluru to set a benchmark for their product. 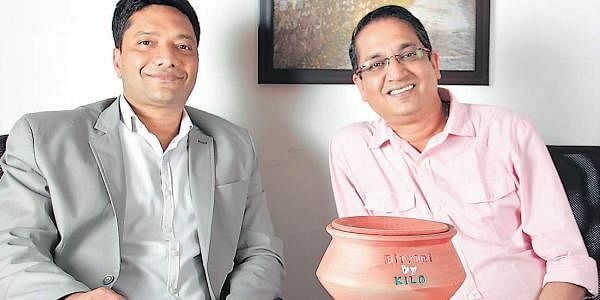 “We believe to be the best biryani in India now,” says Jindal. It the next three to five years, it aims at being India’s biggest organised food player, with a gross annual sale of `200-400 cr, they tell us. “By investing in cloud kitchen delivery model, BBK aims for good capital efficiency parameters, low wastage, individual and fresh cooking,” says Roy. Cheers to that. Good to know: Meal for two is approx. `700.